Hours: Mon. 8 a.m. – 4 p.m.; Tue. Closed; Wed. – Thurs. 8 a.m. – 4 p.m.; Fri. – Sat. 8 a.m. – 8 p.m.; Sun. 7 a.m. – 3 p.m.
Hobo’s Café offers a unique, BBQ experience. 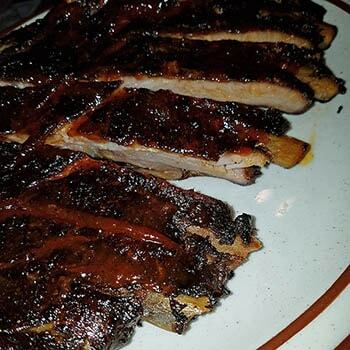 Slow cooked, authentic BBQ is the specialty of this Island Pond Restaurant. But there is much more on the menu – from ribs and pulled pork, to haddock sandwiches and chicken tenders – there is something for everyone. And don’t forget to check out their specials. Eat in or dine out, for lunch and dinner. Or swing in for breakfast!